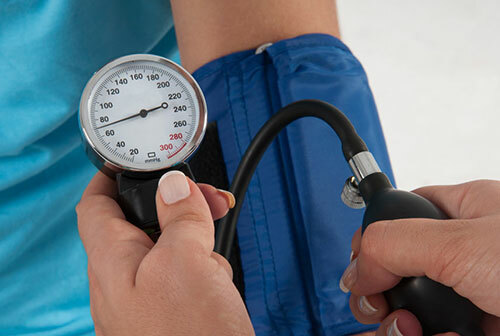 Monitoring your blood pressure is indispensable to health. Using a portable blood pressure monitor is a reliable way to prevent the risk of heart disease and stroke. 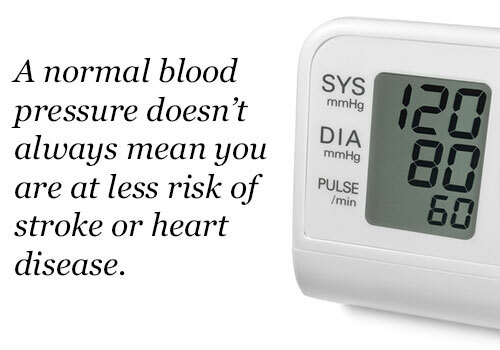 But according to experts, a wrong interpretation when looking at your blood pressure readings can also be dangerous. What's more, it has been found that having normal blood pressure doesn't always mean that you have less risk of heart disease and stroke. Surprisingly, this is a common pitfall and almost 100% of the general public is not aware of this oversight as many rely solely on the readings. In this issue, we'll let you know an amazing technique of blood pressure measurement that will help you catch hidden hypertension and other vascular diseases. Can a Normal Blood Pressure Really Give You Peace of Mind? Let's take the case of a man on his 70s (we'll call him Mr. A), who is having a routine blood pressure measurement two times a day. The criteria of a normal blood pressure reading would be below 130/85mmHg and his readings are within this range. But three years ago, he suddenly felt dizzy and went to the hospital. The diagnostic results show that he is having cerebral infarction (ischemic stroke). After a detailed examination, it turned out that the arteries in the lower part of his body are clogged, causing systemic vascular disease. The doctor thinks that one of the major causes of this is high blood pressure. The artery becomes vulnerable when blood pressure is high, and the artery walls will progressively become thicker. Eventually, hardening of the arteries (arteriosclerosis) will occur. The problem here is that Mr. A is not having the typical symptoms of high blood pressure. If so, why such a situation happened? Surprisingly, it was found that Mr. A's arteriosclerosis and hypertension was caused by the abnormal blood pressure in his legs. Normally, the blood pressure in humans is greater in feet than the arms. This is because the height of the blood column in the feet is larger than those in the arms. However, because of arteriosclerosis or hardening of the arteries at the lower part of the body, the blood flowing to the upper part of the body will be clogged or reduced, therefore, the blood pressure drops. That is why when measuring the blood pressure through your arms, you'll get a normal reading even though the blood pressure in the lower part of your body isn't. This means that to be able to successfully determine the presence of arteriosclerosis or hypertension throughout the body, you'll need to measure the blood pressure of your feet. A lower blood pressure in the legs is a sign of blocked arteries. The problem is that portable blood pressure monitors are made specifically to measure the blood pressure in the artery of the arms and not the legs. If you want an accurate measurement, you will have to visit your doctor. 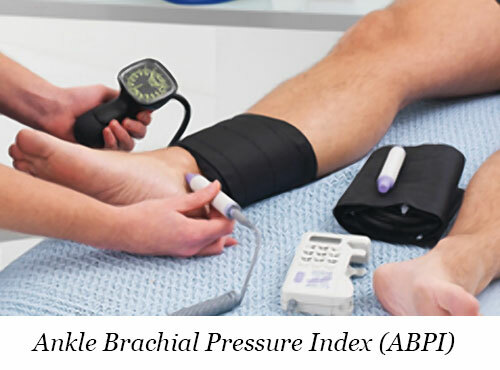 The most common method done in hospitals is called Ankle Brachial Pressure Index (ABPI). This method is done by assessing the blood supply of your feet and comparing it to the blood pressure in both of your arms. The simplest trick of blood pressure measurement that can be done at home to determine "masked" hypertension is by simply reading and comparing the measurement of blood pressure of both arms. A significant difference in blood pressure readings of left and right arms can be a sign of clogged arteries in the lower body (legs) or less commonly in the upper body (tear inside the wall of the aorta). That is despite having normal blood pressure readings! Sadly, without knowing, many people who are "right-handed" only measure their blood pressure with their left arms, and vice versa. This leads to not being able to discover the critical vascular disorders that can only be determined if you measure the blood pressure in both of your arms. To prevent the oversight of hypertension, you need to focus on the difference of blood pressure in your "left and right" arms. This type of vascular disorder is called "peripheral arterial disease", which is defined as the obstruction of large arteries in arms, or legs, or other non-heart parts of your body. Since 30% of peripheral arterial disease cases have mortality rate of 5 years, early detection is crucial. To help determine and prevent "peripheral arterial disease" please take note of these three things. 1. There is a difference of 10% or more in blood pressure readings between the two arms. Usually, there is almost no blood pressure difference between the left and right arms among healthy people. However, if you see more than 10% difference, then there is the possibility of clogged arteries. Consult your doctor as soon as possible. We recommend that you undergo this checkup on a regular basis for at least once a year. Movement and anxiety can greatly affect blood pressure. Therefore, to have an accurate measurement, relax for 1 to 2 minutes before measuring each arm. 3. Smokers, Diabetes Patients, and Elderly people are Urged to Use Caution! Elderly people over the age of 65 are more prone to peripheral artery disease. 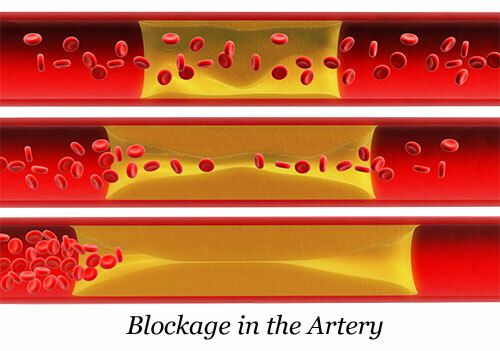 Remember, thickening and hardening of the artery walls typically occur in old age. Smokers and diabetes patients are also vulnerable. We advise you to take necessary actions to control the risk factors that can help prevent the disease. If in doubt, we recommend that you seek advice from a cardiologist. 1. "t-PA - a 'Magic Bullet' For Treating Stroke"